My 14th fear is being naked. Fear is overcome by embracing it right? 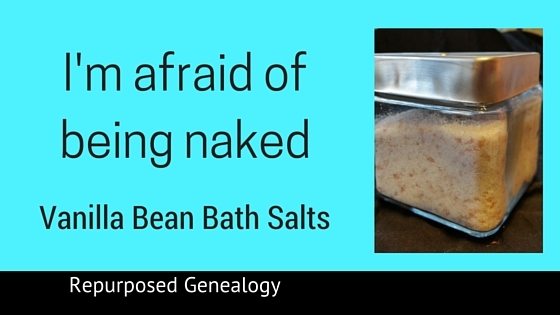 I decided to make make my own bath soak to spend more time naked and soften my dry winter skin. This recipe can make enough for you to keep and some to share as a DIY holiday gift, birthday present, or Mother’s Day gift. Or just to share, because you care. Or you can keep it all to yourself. I won’t judge. 2 cups Episom salts – Any brand is fine. 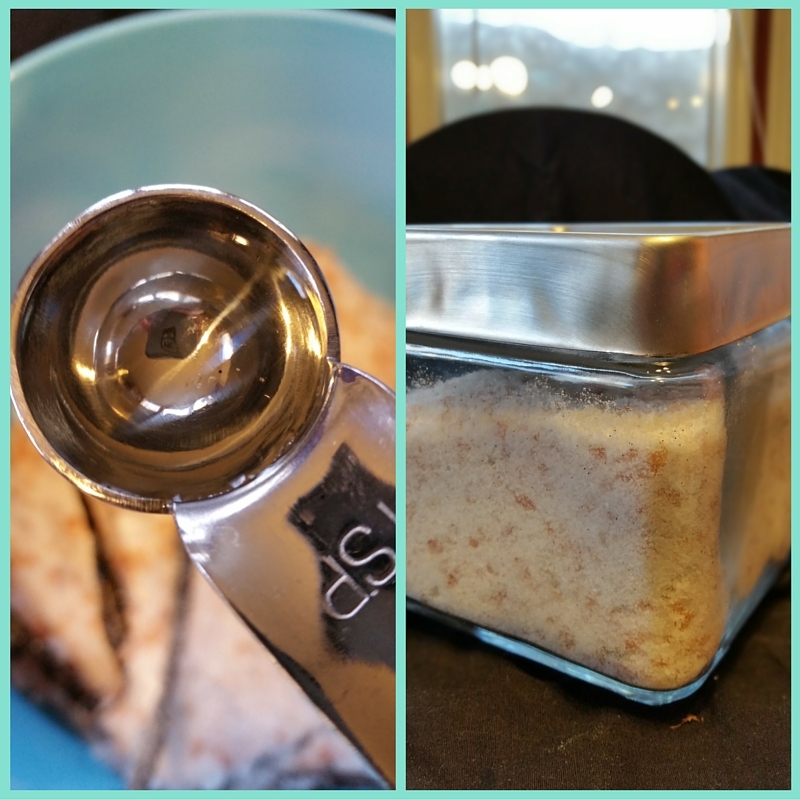 Combine the salts and baking soda in a bowl. Cut the Vanilla bean pods lengthwise with a sharp knife. Scrape the interior of the pods out with the edge of the knife. Add into the bowl. Add the empty pods to the bowl, and mix until vanilla beans evenly dispersed throughout. Store the bath salts in a glass, air tight container. A lidded mason jar works well. Scoop or sprinkle at least 1/8 cup to your warm bath. 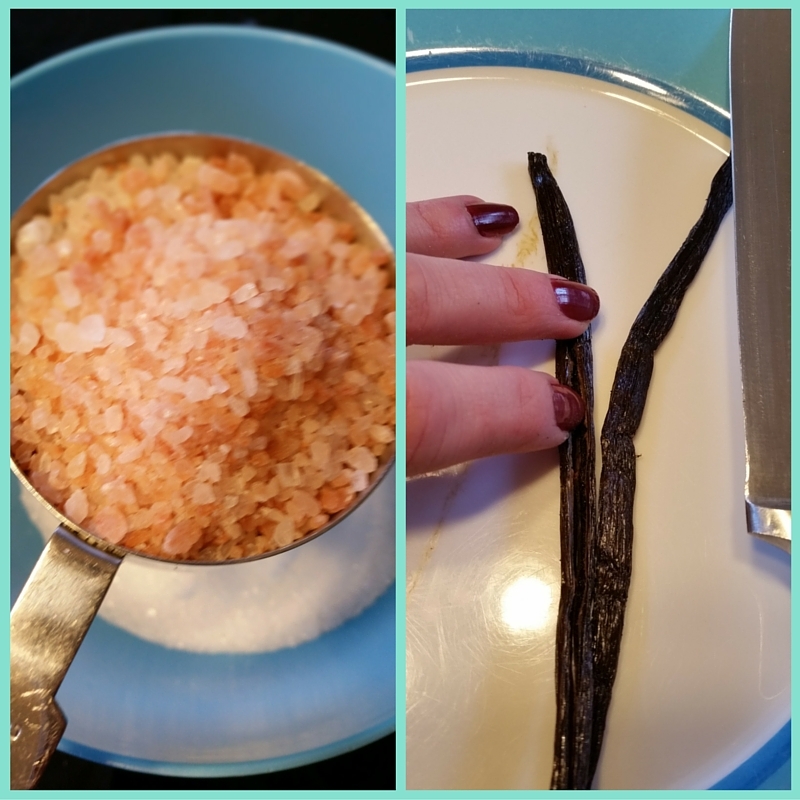 The vanilla is soothing and so are the salts. I like to imagine my troubles disappearing down the drain when I empty the water. Do not be afraid, Jen, as an appreciative world is with you. I am passing on your DIY concoction to my wife…):)…):).